Jennifer Brown is the Design & Technologies Librarian at Barnard Library’s Design Center. 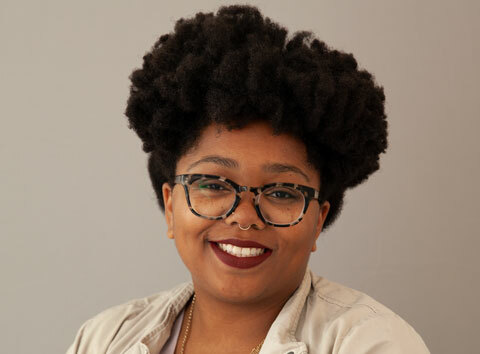 Her librarianship is driven by critical frameworks like design justice and speculative futuring, both of which encourage embedding equity and inclusion throughout one's design process. She holds an M.S. in Information from the University of Michigan and a B.A. in Media Studies from the University of California, Berkeley. You can chat with Jen about 3D printing & 3D scanning, etching and carving with the Carvey, screen printing & vinyl cutting, Raspberry Pis & Arduinos, sewing, and more. Zoe Ross (CC ’18) is the Post-Bac Fellow for the Design Center at the Milstein Center for Teaching and Learning. As a student Zoe was a major in Barnard’s Architecture Department. She also worked as a Superuser at the Columbia Makerspace where she specialized in technologies of making, including 3D printing, laser cutting, sewing, and more. 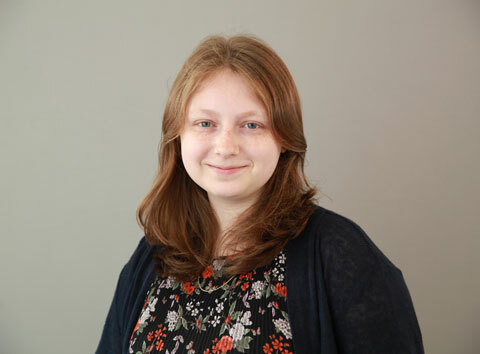 You can chat with Zoe about laser cutting, screen printing & vinyl cutting, 3D modeling with Rhino, 3D printing, hand and power tools, and so much more. Emily's become our resident expert on all things embroidery, 3D printing, screenprinting and more! You can find her working in the Center Mondays 4-6pm and Sundays 11-1pm. Mary Clare's gotten involved with a ton of tools already, including sewing, emboridery, and screen printing, among her myriad of other amazing design projects. You can find her working in the Center Saturdays 12-3, Sundays 4-6pm, and Mondays 2:30-6pm. Samantha's got great expertise in laser cutting, sewing, 3D printing, and screen printing. You can find her working in the Center Tuesdays 2-5pm and Saturdays 3-6pm. Camille brings years of experience from her architecture background, and is particularly adept with 3D printing, laser cutting, screenprinting and more! You can find her working in the Center Tuesdays 5-9pm, Thursdays 12-6pm. Kelly's extensive background in sewing, pattern making, and textile work makes her an expert consultant with sewing, embroidery, pattern making, textile art, e-textiles and way more! You can find her working in the Center Fridays 2-6pm, Saturdays 10-6pm, and Sundays 11-7pm. If you've been around Barnard Library for a while, you've probably seen or interacted with Suze before! She comes to us with a fantastic background, having recieved a graduate degree in design. You can ask her about bookbinding, screen printing, and more, and she works in the Center Wednesdays and Thursdays 4-9pm.